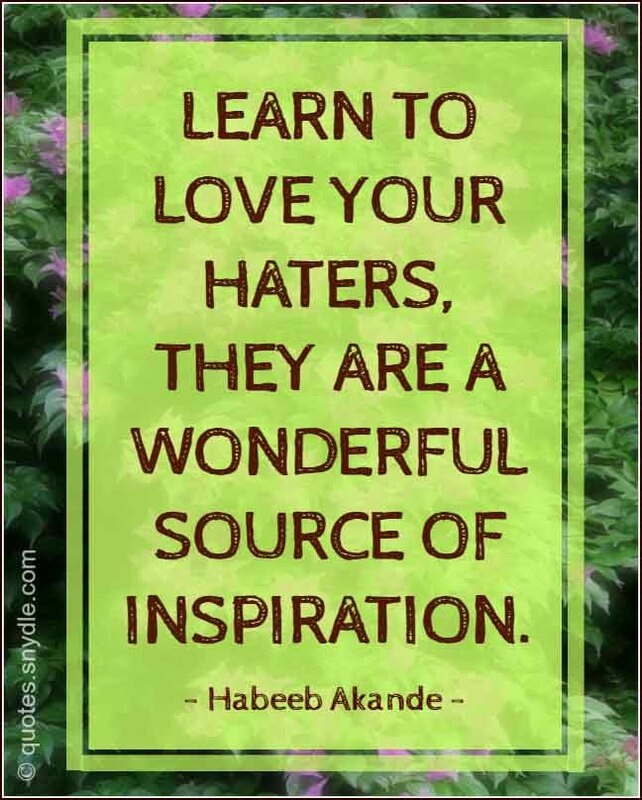 Learn to love your haters, they are a wonderful source of inspiration. 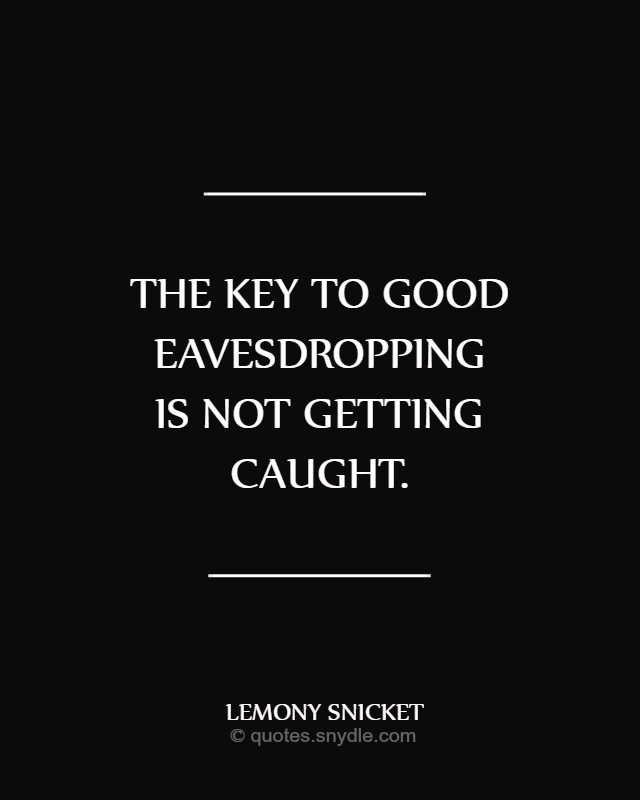 The key to good eavesdropping is not getting caught. They have the unique ability to listen to one story and understand another. Let them say what they wish behind your back. You need only be strong enough that they don’t say it to your face. Those we murder with our mouths often live longest. 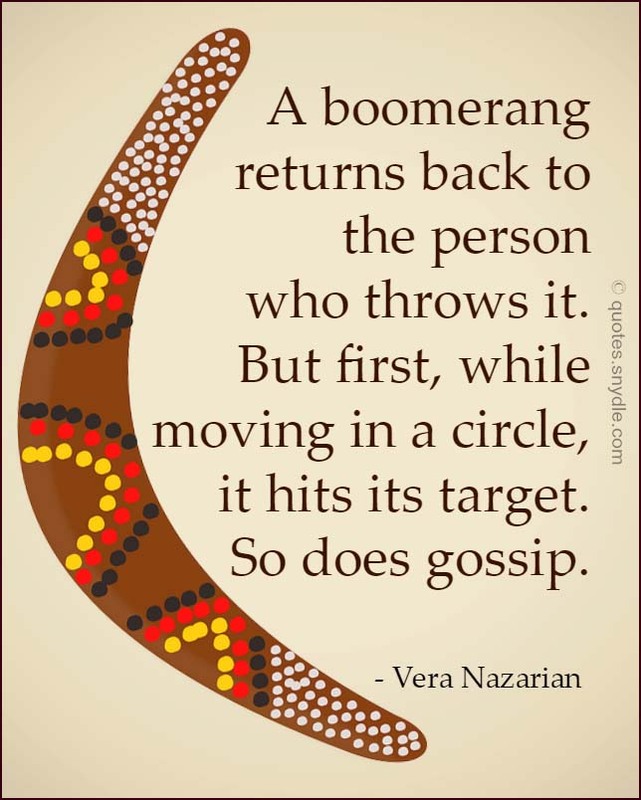 A boomerang returns back to the person who throws it. But first, while moving in a circle, it hits its target. 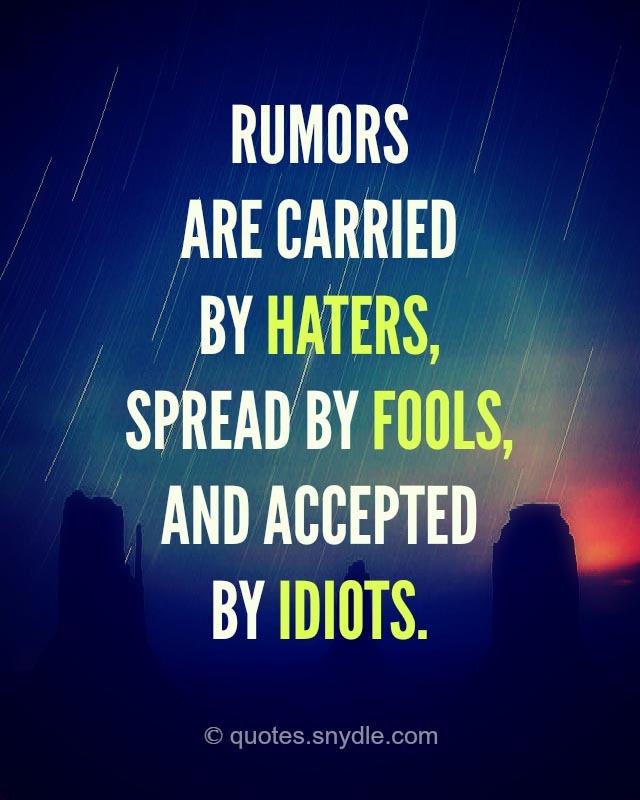 So does gossip. 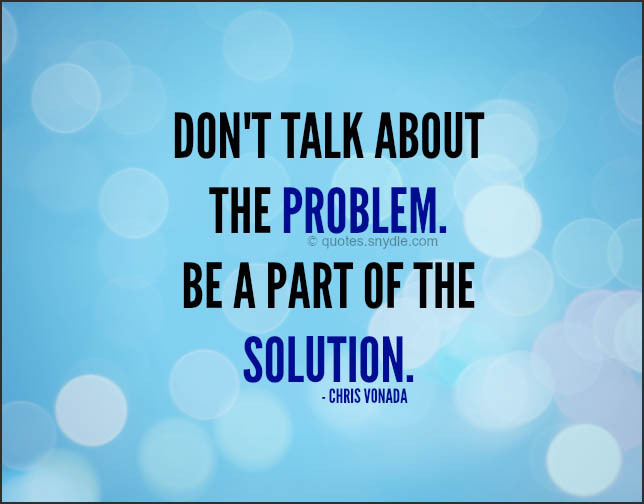 Don’t talk about the problem. 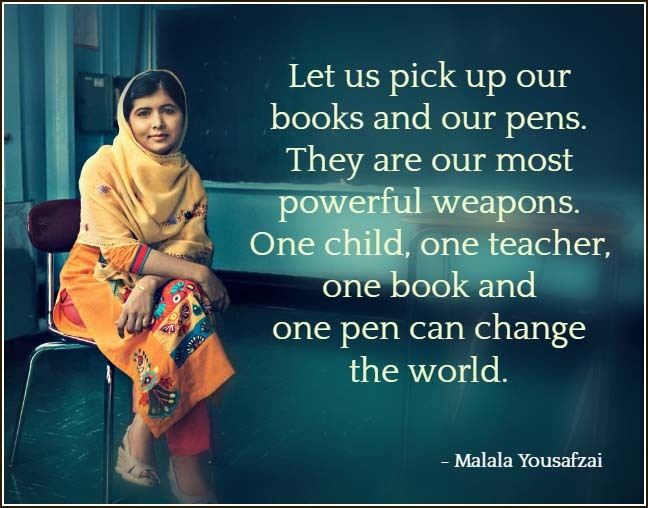 Be a part of the solution. 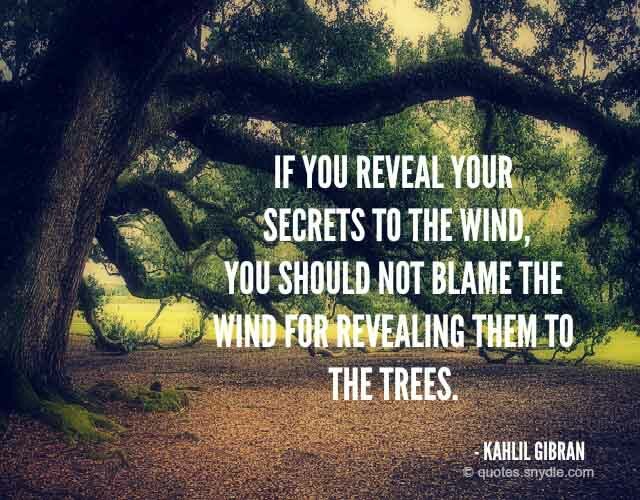 Concentrate on fixing yourself rather than wasting time gossiping of others. 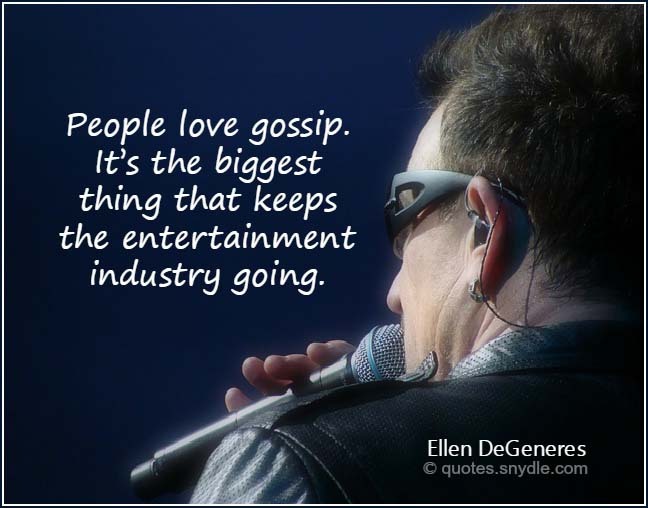 Gossip is putting two and two together, and making it five. 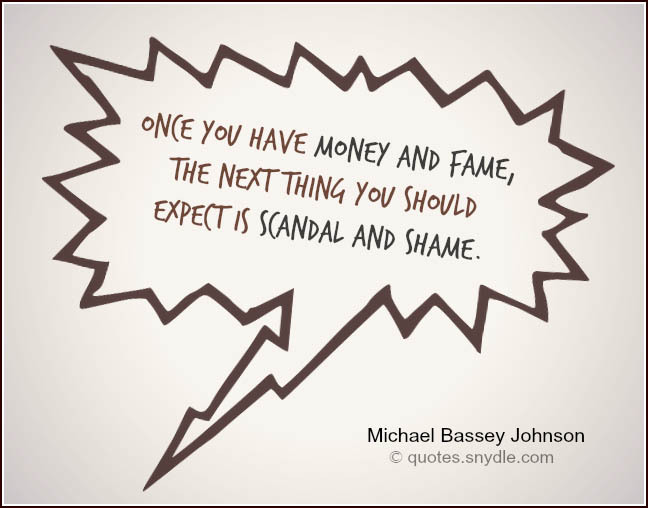 First law of gossip – there’s no point knowing something if somebody else doesn’t know you know it. 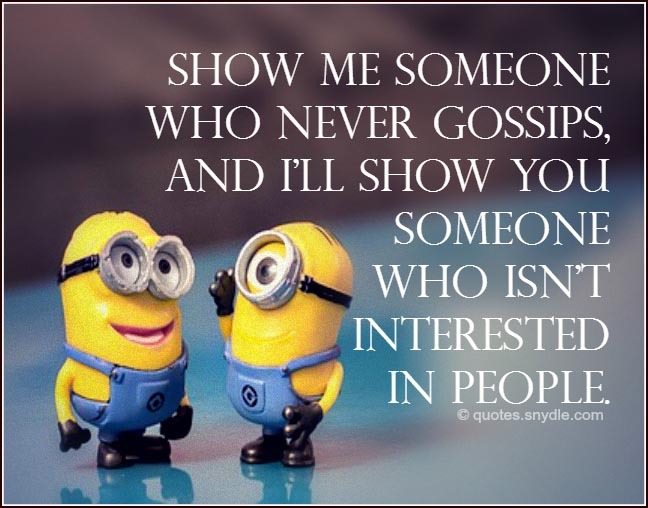 Show me someone who never gossips, and I’ll show you someone who isn’t interested in people. 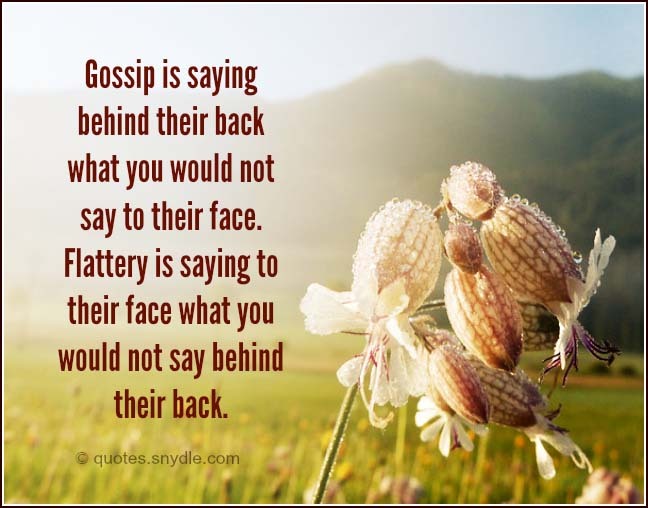 It’s only gossip if you repeat it. Until then, it’s gathering information. 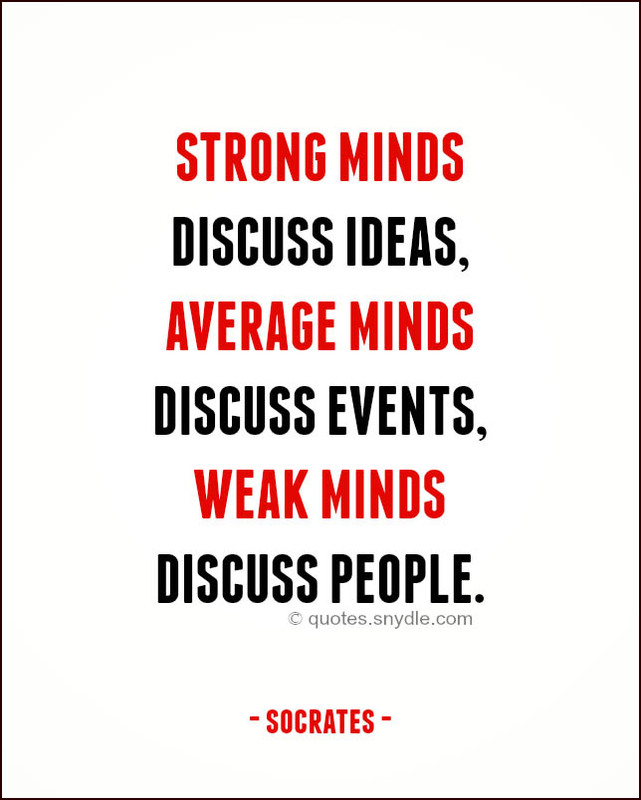 Gossip was usually a mindless distraction from a far too serious world. When I write, I am gossiping. 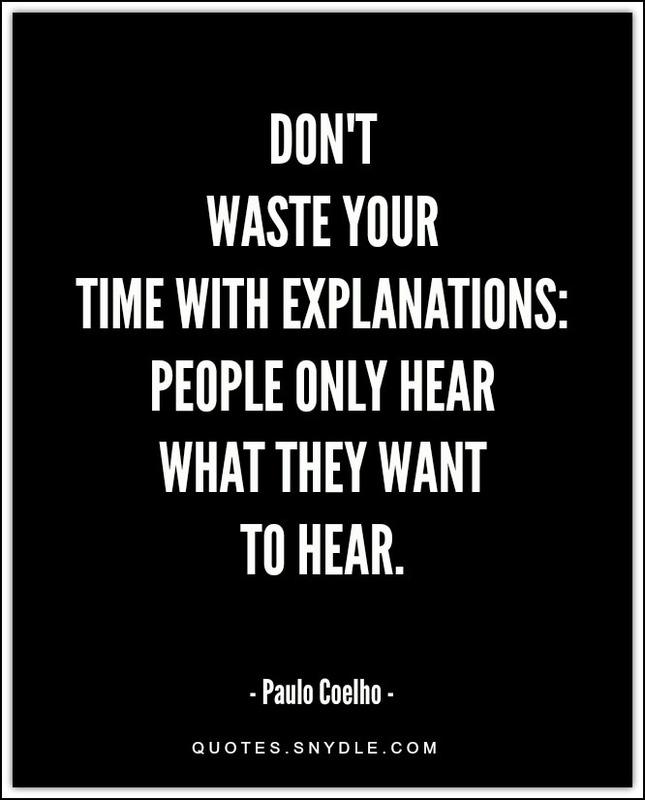 Writing to whisper the story, whether good or bad to my listener. An introvert talks more than an extrovert because when the mouth is closed, the mind is opened. 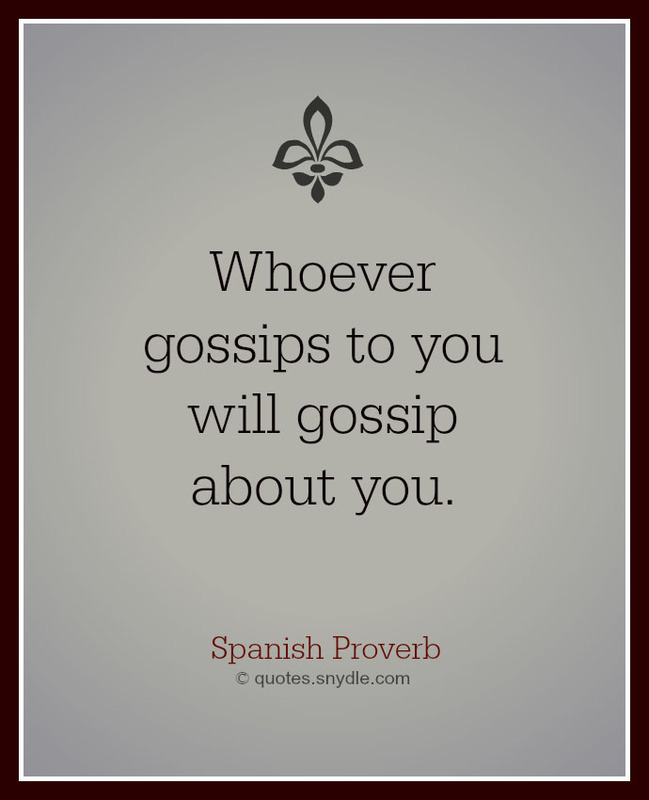 Gossip never goes away, no matter where you are in life. 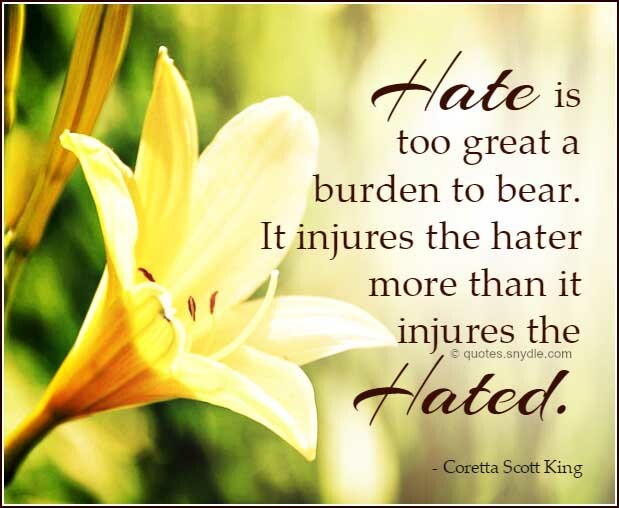 Doesn’t matter what you do, or how you do it, your neighbors are gonna talk about you anyway. 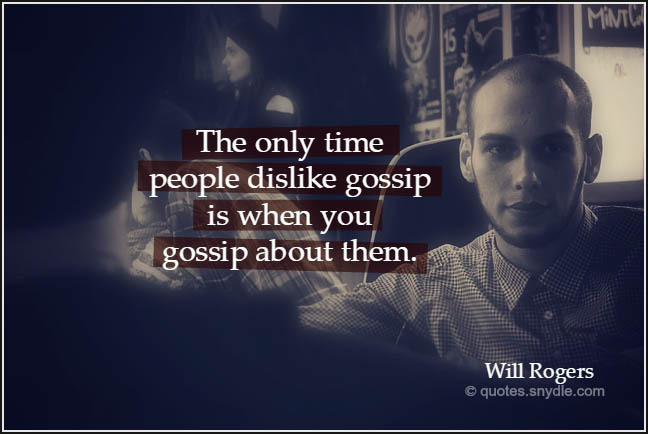 Gossip has been described as halitosis of the mind. Don’t tell me about others cause soon you’ll tell others about me.